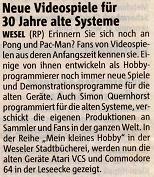 Publications about my demos and games. 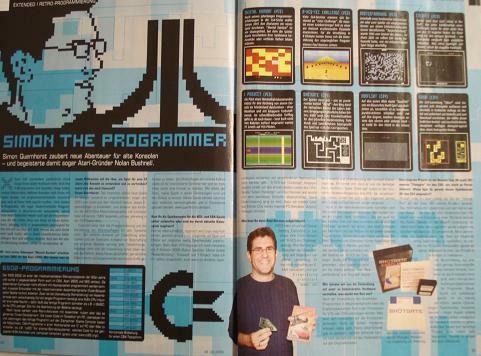 Beneath all the articles on webpages concerning Atari and old games in general, some printed magazines, newspapers and books featured reports about my productions, too. 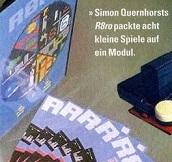 Here they are, listed from new to old. 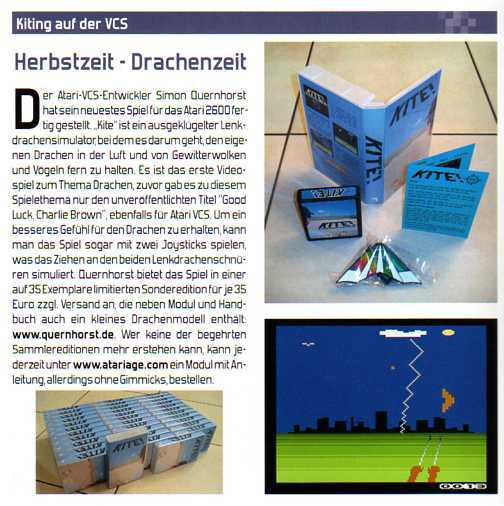 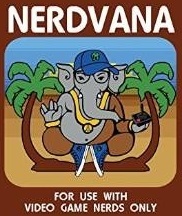 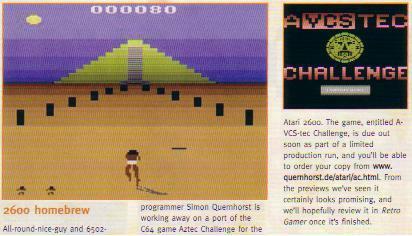 Nerdvana (Germany), 2015, the background graphics of the title picture is taken from my game "A-VCS-tec Challenge"
Sport & Design Drachen (Germany) published an interview on page 23 of issue 6/2009, Dec. 2009. 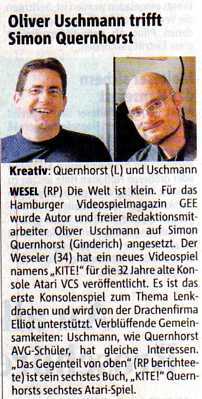 BUNCH.TV (Germany) showed an interview in PLAY'D Episode 10, May 2009. 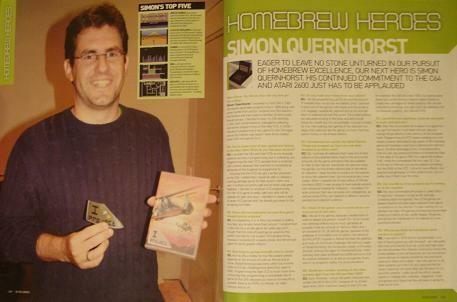 Commodore Free (England) published an interview on page 12 of issue #27, Feb. 2009. 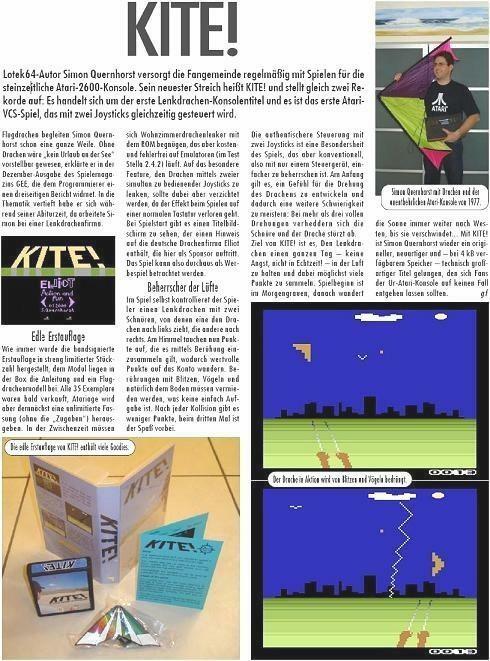 CeVi aktuell (Germany) published an interview on pages 22 and 23 of issue 09/2008. 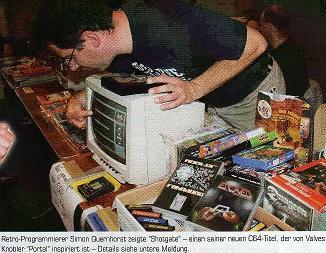 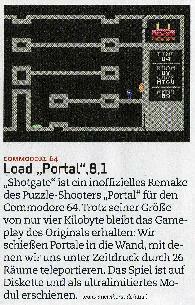 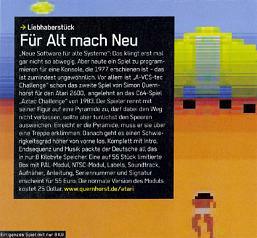 Retro Magazin (Germany) published an interview on page 9 of issue Aug. 2003. 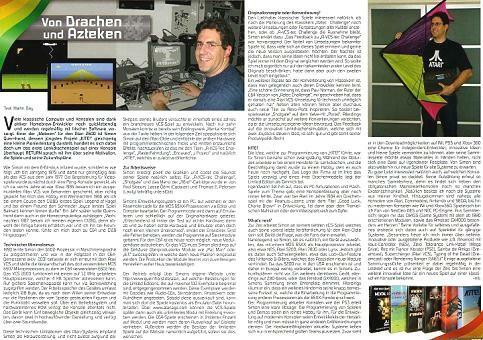 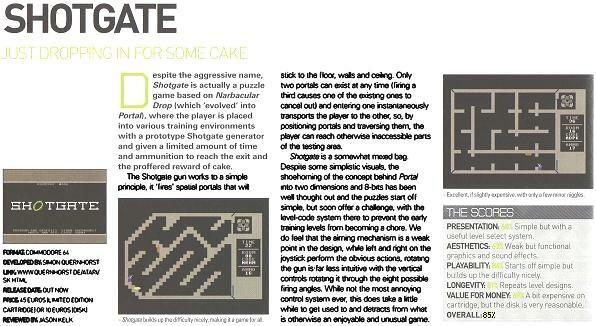 An interview with me can be read at GoodDealGames.com or download it as text version here. 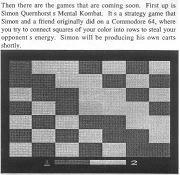 An online report about homebrew games including an interview with me was published at O'Reilly. 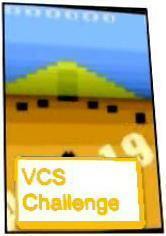 Canadian (Quebec) radio station Energie broadcasted news about the release of A-VCS-tec Challenge on july 12th 2006. 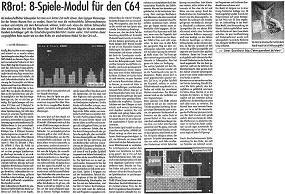 Austrian radio station FM4 aired an interview in november 2004 and published excerpts of it on their website. 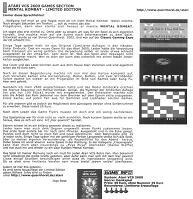 All articles are used with kind permission of the authors and publishers. 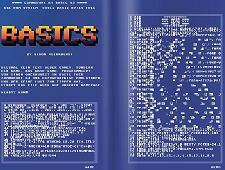 Back to the menu page.